Aloha and E Komo Mai! Welcome to my very first Trip Report, and what a trip it was! We knew that 2015 was going to mark a milestone in our lives as we would be celebrating our 25th wedding anniversary. 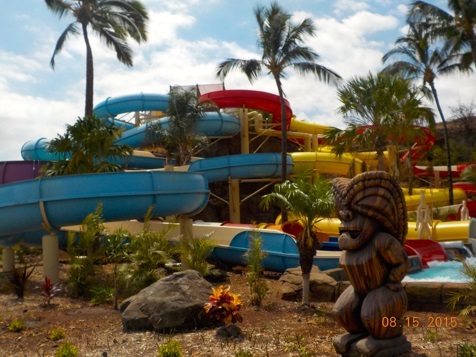 We talked about a few vacation options including a DVC Members Cruise, or a trip to the Disneyland Resort, but the destination that we kept coming back to was Hawaii. But it always seemed like such a crazy, impossible dream! So, when Disney built a DVC resort on Oahu in 2011, that dream didn’t seem so impossible after all! And by some miracle, everything fell into place and we were able to plan this amazing trip of a lifetime! Let me start by introducing all the travellers on this wonderful trip – there was my husband, Clement, our 14-year old daughter, Chloe and me. 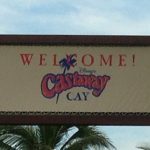 We joined the Disney Vacation Club in 2008, and have taken 6 Disney Cruise Line vacations since then, as well. 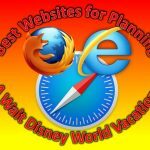 We usually visit the Walt Disney World Resort a couple of times a year, and we are Premium Annual Passholders. We live near Toronto, Ontario, and this was our very first “long haul” trip, involving more than 10 hours of flying time, each way! After only travelling to Florida for the past 8 years, this trip to Aulani, a Disney Resort and Spa, was way outside our “comfort zone”! Day 1: We left Toronto on Friday, August 14, 2015 at 1:00 pm, and arrived in Honolulu at 8:40 pm (Hawaii time), with a 3-hour stop in Vancouver in between. We collected our luggage, and caught the Alamo shuttle to pick up our car rental. (Tip: if you plan to rent a car (in Hawaii or anywhere), and you are a Costco member, try using their Car Rental Finder service. Their rates can be very reasonable and a second driver is free. Just keep trying – for our rental, the price went from $1,400 to $450 then back up to $1,100, within a matter of weeks!) We left Alamo only to discover that our trusty GPS was not loaded with maps of Hawaii! I guess when we bought it, it had the 49 OTHER states, and who would have thought we would ever need maps of Hawaii, after all, it’s not like we could actually drive there! (Tip: check your GPS before you decide to bring it, and if it doesn’t have maps of Hawaii, make sure you have a good app on your phone, or stop by the AAA near Waikiki – they have the best paper ones!) And after being awake close to 24 straight hours, we were not exactly at our navigational best. 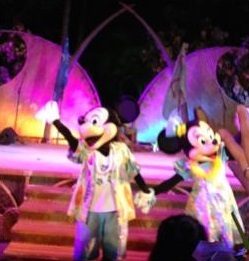 However, after a couple of wrong turns on the H1, we managed to find our way to Aulani by around 10:30, in the dark. As we were told another time when we needed directions, you can’t really get lost here, after all, it’s an island! We checked into our glorious “home” for the next 2 weeks (Room 366) and managed to get a somewhat restful sleep that first night. 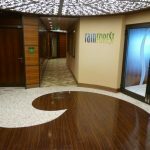 At first we were disappointed to be on a lower floor, but once we became more familiar with the resort, we realized this was the perfect location! The third floor is actually the main floor, so just a quick stroll down the hallway and we were in the lobby, or in the stores, or even out to the parking garage. 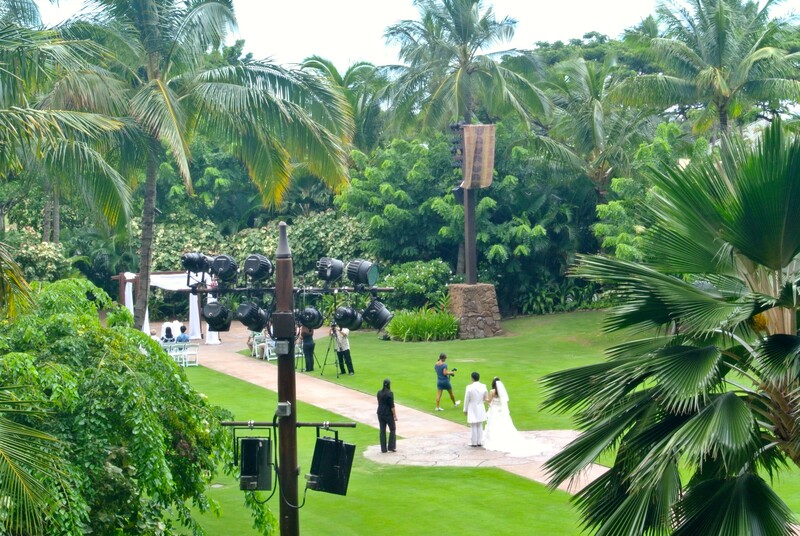 Plus, our balcony overlooked Halawai Lawn, which is where they hold the Starlit Hui, movies under the stars, weddings, and character meet and greets! We had a front row seat for all of it! Day 2: We enjoyed our first meal in Hawaii at Ulu Cafe, one of the quick service restaurants at Aulani, where we also purchased refillable mugs. After a bit of exploring of this beautiful resort and lagoon, we drove to Costco at the first exit off H1 to pick up some groceries for the first few days. We also checked out the ABC Store across the street in the Ko Olina Resort but decided to head over to Target (across from Costco) for the rest of our groceries. 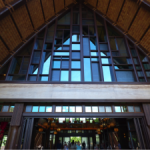 Day 4: We were up even earlier in order to attend Mahalo Members Mingle for DVC members, which started at 8:00 am! 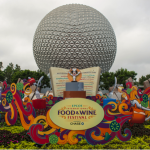 This is a gathering, similar to Welcome Home Wednesdays at Walt Disney World, where members introduce themselves, and get a chance to win some DVC prizes. Chloe won a little backpack for answering a Frozen trivia question! They also provided a continental breakfast, which was very nice. Later that morning, we headed out to explore the North Shore of Oahu. 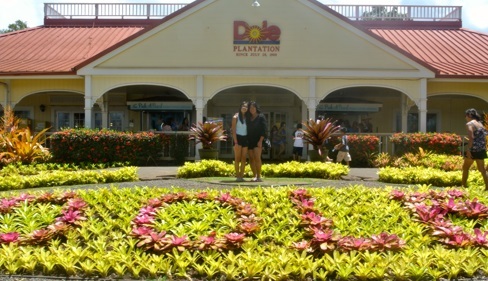 On the way there, we popped into the Dole Plantation, which is probably less than an hour from Aulani. We had the obligatory Dole Whip and got back in the car! All along the shoreline, there are lots of beaches, but not a whole lot of places to park. We managed to stop a couple of times and saw a lot of surfers and snorkelers. The scenery up this way is gorgeous! But we could easily say that about all of Hawaii! We were looking for the infamous Giovanni’s Shrimp Truck, and THOUGHT we had found it, and parked. Turns out it was NOT Giovanni’s but for any General Hospital fans, I met Ingo Rademacher (aka Jasper Jax) at the Fish Tacos Truck, where we stopped for lunch! He was there with his wife, and no, I did not interrupt him while he was eating. Day 5: We took a quick run to Walmart (same exit again) but spent most of the rest of the day at Aulani. We tried the (chilly) Rainbow Reef snorkelling pool, which is full of beautiful, colourful fish, a Menehune, and a couple of hidden Mickeys. Day 6: This was our first venture into Honolulu, not counting the day we landed at the airport, of course. 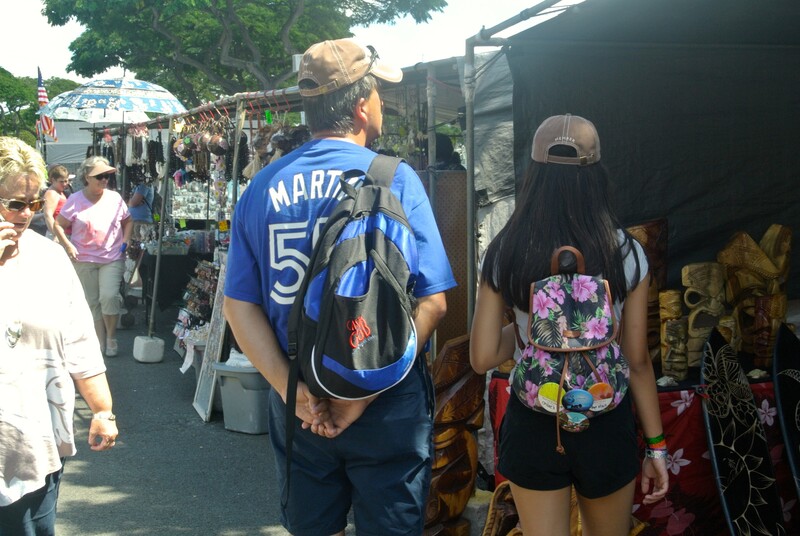 Our first stop was the Swap Meet at the Aloha Stadium, which is like a giant flea market with vendors selling everything from sunglasses to souvenirs to food and clothing. We did a bit of damage here, but not much as the prices were very reasonable. Although we forgot to do it, apparently, you are allowed to bargain with the vendors if you like. Chloe bought a cute ukulele, since she had learned a few basic chords at the teens’ club the day before. From there, it was a short drive to Pearl Harbor and the USS Arizona Memorial. (Tip: Reserve your spot for the Arizona online 2 months in advance, as there are only a limited number of people they will take during the day.) This is a very interesting and historical “must do” if you have a few days to explore the island. Day 7: Prior to our vacation, we purchased 4-day Go Oahu cards from, you guessed it, Costco. I realize I’m starting to sound like an ad for Costco! 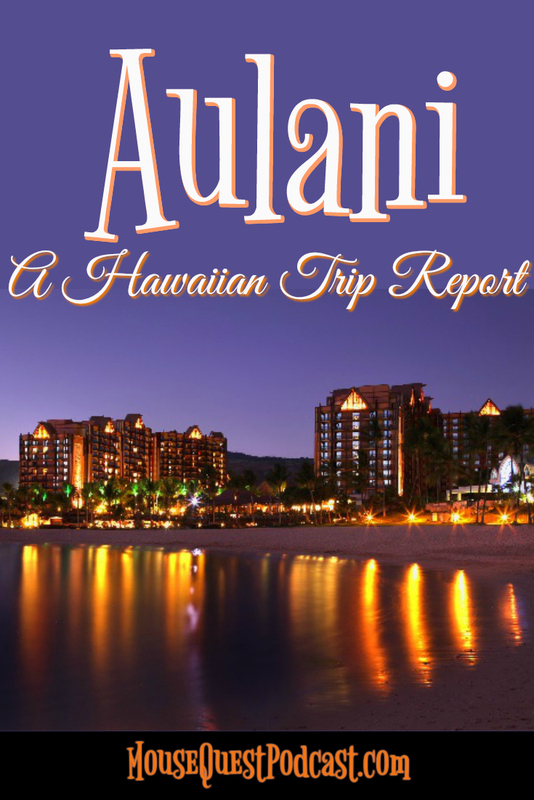 In Canadian dollars, it cost us $220 per person (approximately $160 US) and with the card, we were entitled to explore more than 30 attractions on Oahu, including a full island bus tour, a catamaran trip, tours at Pearl Harbor, surfboard rentals, and so much more. The only restriction was there was a list of 4 items including 2 luaus, a dolphin experience, and a Jeep rental, and we were only allowed to choose 1 from this list. But everything else was basically up to you and how commando you wanted to spend your 4 days. For our first excursion with the card, we chose to do the Secret Island Tour at the Kualoa Ranch on the windward (east) coast of the island. Traffic was good that day, so it took us less than an hour to get there. This is the ranch where they filmed many movies and TV shows over the years. More on this later, as we took the Movie Sites Tour here later in our trip. According to our guide, the Secret Island Tour is erroneously named as it is neither a secret nor an island. But nonetheless, it was amazing. We spent about 3 hours here, where they provided our group with snorkels, kayaks, paddleboards, beach mats, hammocks, picnic tables, and showers. We got to try everything except the hammocks – people planted themselves there and stayed there for the whole time! Day 8: August 21, 2015 was Statehood Day, and a state holiday in Hawaii. It was on this day in 1959 that Hawaii became the 50th state in the union. What better way to commemorate such an occasion than to attend the Made In Hawaii Festival in Honolulu. Here we were able to see 475 booths featuring authentic Hawaiian crafts, foods, jewellery, clothing, and much more. Day 9: Day 2 of our Go Oahu Card included sailing on the Makani Catamaran from the Ala Moana Marina in Honolulu. We parked at the marina and walked (and walked and walked!) to the Ala Moana Center, which is the world’s largest open air mall. Sadly, we didn’t have time to shop, we only grabbed lunch before we had to trek back to catch our boat. It was a calm and cloudy day to be out in the harbour, where we got to see amazing views of Diamond Head and Waikiki beach. We even saw the Norwegian Cruise Line ship Pride of America, which takes guests around all the Hawaiian Islands on their 7 night sailings. Something to think about for another trip… On the catamaran, we saw 2 sea turtles but no dolphin or whales. Day 10: Back to Kualoa Ranch for the Movie Sites Tour. In addition to Jurassic Park and Jurassic World, Godzilla, Lost, and almost 50 more movies and TV shows were filmed here over the years. After the tour, we had planned to tour the Polynesian Cultural Center but as we approached it, we found it very strange that the parking lot was empty! It’s closed on Sundays! (Tip: Be sure to read the fine print at the very bottom of the main website page.) Something else to put on the list for the next trip. All was not lost as we just continued back up the North Shore again. This time, we actually stopped at Giovanni’s Shrimp Truck. 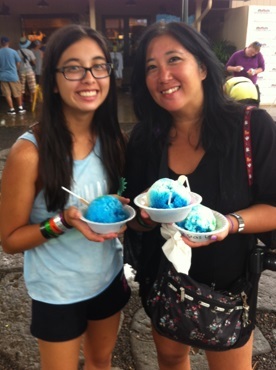 And since we were in the neighbourhood, we also stopped at Matsumoto’s for another shave ice. Day 11: This day started out with a steady downpour of rain, thanks to Hurricane Kilo, who was approaching the islands. We attended another Mahalo Members Mingle and decided to use this day to pick up souvenirs for ourselves and our friends and family back home. We realized quite quickly that Hawaii is a very outdoors oriented vacation destination. So, it was back to Costco for a few boxes of macadamia nuts and a bag of my new favourite snack, Maui Style Potato Chips. It cleared up later in the day so we were able to enjoy the pools and ocean back at Aulani. Day 12: We decided to take a drive up the leeward (west) coast of the island and see what was up there. What we found really surprised us! It was primarily residential, so not “tourist-y” at all, and very deserted and quiet. Aside from some pretty big waves, the beaches were pristine and not developed at all. We actually drove right to the end of the Farrington Highway to Ka’ena Point State Park where we also discovered a cave. It would have been nice if the highway continued all the way to the North Shore because another visit to Haleiwa would have been very nice! 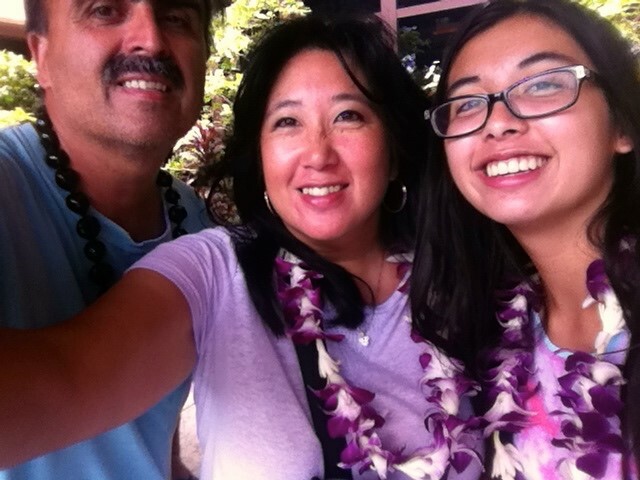 That evening, we attended Germaine’s Luau in Kapolei, which was also at the first exit off of H1. It’s in an industrial, commercial part of town, so we were wondering if we were in the right place at first. They put on a very nice show at Germaine’s with a variety of singing, fire juggling, and of course, hula dancers. The food was pretty good, but it wasn’t amazing. Day 13: Since we were quickly running out of days, we decided to bite the bullet and attempt to hike up Diamond Head this day. We came to the realization that there was not going to be a “cool” day to do it, so all we could do was get there as early as we could and pace ourselves. We didn’t follow our own advice, and started our hike as many others were finishing! It was about 11:30 and 88 degrees by the time we were back in our car. However, we are so glad that we did it! The view from the top is like no other! If you ever want to do it, make sure you have good shoes, as the terrain is rocky and very uneven, wear a hat, and bring water. Oh, and don’t forget your camera or at least your smart phone! After Diamond Head, we decided to check out Waikiki Beach and find somewhere to have lunch. We really wanted to try the Rainbow Drive-In, rumoured to be one of President Obama’s favourite spots, but the parking lot was just too small so we couldn’t stop. We ended up parking (for free) near the Honolulu Zoo and taking a short walk to the main shopping district. As Walt Disney World fans, we couldn’t resist stopping at Wolfgang Puck Express. We decided to walk down Kalakaua Avenue until we passed 6 ABC Stores, which took about 6 blocks! While down there, we witnessed a very strange site – no one was swimming or surfing in Waikiki Bay! The beach was actually closed for a few days due to heavy rains that caused the sewers to overflow. They reopened later that day. Day 14: We started off our last full day by taking a nice walk along all the other 3 lagoons in the Ko Olina Resort area. 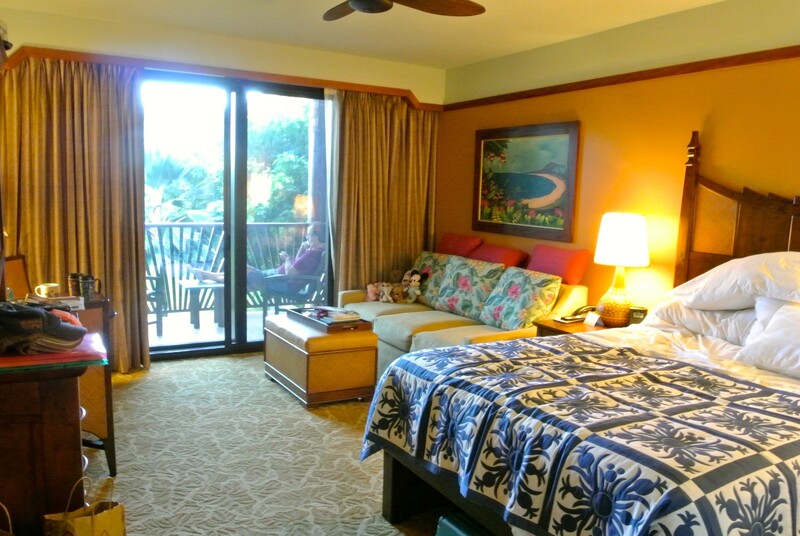 There are only a few resorts near Aulani, including another vacation club, and a Marriott. We spent the rest of the day taking in as much of this glorious resort as we could. We finished off the day by attending the Starlit Hui, which is a celebration of Hawaiian traditions – basically a luau, Disney style! When we were there, they were performing the Starlit Hui 3 times a week – Tuesday, Thursday, and Sunday, but I believe this varies depending on the time of year. Day 15: Our flight was not until 10:15 pm but, like all Disney resorts, we had to check out of our room by 11:00 am. Aulani has an amazing lounge for guests who arrive before their room is ready or, like us, are leaving after check out time. It’s called the Luana Lounge, and it is equipped with TVs, lockers, restrooms, and showers. We called it the “sad lounge” and we only spent a short time here. We did some last minute shopping at the ABC Store, and spent the rest of the day swimming and just enjoying every last second. We left Aulani for the airport before 6:00 pm, as the sun sets early here and we didn’t want to have to find the car rental place in the dark. Our flight was fine; we flew overnight to Vancouver, arriving there around 7:00 am. It’s very strange flying east, as you basically lose almost a day travelling through the time zones. We arrived back in Toronto around 5:00 pm and into our house an hour or so later. Exhausted but so grateful that we were able to enjoy another amazing Disney vacation! I hope you enjoyed this brief overview of our visit to Hawaii. We tried really hard to find a balance between traditional tourist-y things and relaxing downtime. Although it may sound like we crammed a lot of activities into 2 weeks, we have only scratched the surface. 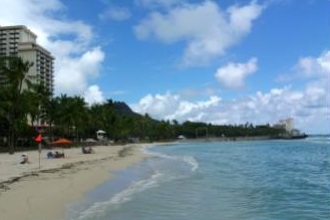 Oahu is a magnificent island with such diverse contrasts in weather, geography, and cultural traditions. I confess that until now I was not one of those people who were fascinated by this part of the world. I didn’t feel a connection or a longing to get to know anything about it. After all, it’s tropical, it’s got palm trees – how different could it possibly be from Florida or the Caribbean? I’m thrilled to say that my opinion has completely changed – I can’t get enough of this fascinating culture. The people are so unique, their lifestyle and way of life are unlike any other, from their language to their music, and from their beliefs to their folk legends. 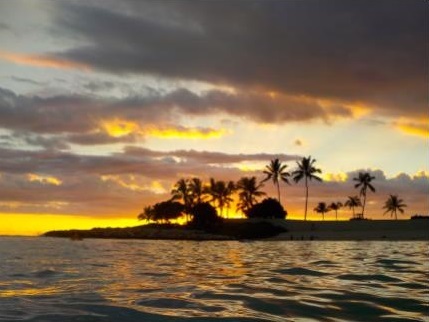 Hawaii is a place that is as familiar as any American city or town in many ways, yet it is completely foreign, as it has deeply rooted traditions that only exist here. I realize I haven’t gone into a whole lot of detail regarding Aulani itself. I thought it would have made this Trip Report extremely lengthy, so I’m going to save that for my upcoming review of a DVC resort. So, be sure to check back here in a few weeks for that! Thanks! Or as they say in Hawaii – Mahalo! Corinne is a busy commuter mom who works full-time in downtown Toronto, Ontario, Canada. Together with her husband and teenage daughter, they love planning their future Disney trips and cruises, always trying to add new experiences to each vacation! You can follow Corinne on Twitter @Jump4Joy8390.